ShabdaNagari.in, which claims to be India's first social networking portal in Hindi, has raised $200,000 (around Rs 1.35 crore) from Kanpur Angels and a bunch of unnamed investors. The funds raised will be used to expand genres on the site and upgrade its user interface, ShabdaNagari said in a statement. ShabdaNagari was launched by IIT Mumbai alumni Amitesh Mishra along with Kaplnesh Gupta and Nikhil Tiwari in January 2015. The company, which was incubated at IIT Kanpur, is mentored by Kanpur Angels' president Gopal Sutwala. "With ShabdaNagari, we want to bring together Hindi speakers online where they can connect with like-minded people and express their thoughts in their language," Gupta said. The startup claims to have about 20,000 registered users and gets 150,000 unique visits. The site publishes 100 articles daily, it said. 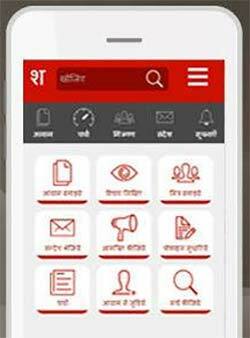 Shabdanagari offers the ability to read and write content in Hindi. Users can post their articles, pictures, videos as well as questions using the tools provided on the website. The portal also has a mobile version on the Android platform. "We believe that ShabdaNagari is addressing a clear gap which exists in the online space today. With increasing smartphone penetration in the hinterland, there is a demand for new and original local language content on the internet. We believe ShabdaNagari is equipped to facilitate that with its vision to create a Hindi internet platform," said Rakesh Suri, promoter, Kanpur Angels. Angel investor network Kanpur Angels has set aside a corpus of Rs 10 crore to provide angel investments to promising startups in the city. ShabdaNagari is its first investment. ShabdaNagari targets to reach over 1.5 million users over the next couple of months, provide native mobile applications and create a marketplace for vernacular books on the platform. ShabdaNagari.in Trident Analytical Solutions Pvt. Ltd.